The reason it’s been quiet is because I’ve been back out in Las Vegas… yes, again! I’m joking… It wasn’t that crazy.. That’s actually a compilation of both my August & October trips… However I’m not going to lie, it still did turn out to be pretty crazy. So crazy in fact that I actually ended up missing day 2 of the Digital Altitude event, but hey we’ll get onto that in a minute. Now… The Digital Altitude event. The Digital Altitude event was the whole reason I flew myself out to Vegas in the first place. 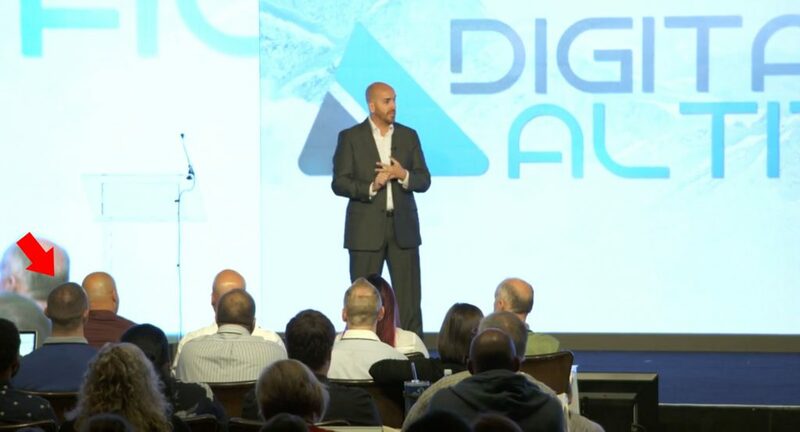 If you don’t know, Digital Altitude is a marketing “system” that I recently reviewed on this blog. Now after joining Digital Altitude & trying the program out I actually decided not to recommend it, but whilst I was a member I did happen to notice they were hosting an event in Vegas… Anyway long story short I figured it’d be a good opportunity to meet some other online marketers – and hey, I just wanted an excuse to go to Vegas again! (you can click here to read my Digital Altitude review). I was actually so desperate to get back to Vegas that I ended up flying out there on my own. It’s the first time I’ve ever travelled solo (outside the country at least) and I felt was a pretty bold move, but it’s an experience I’ll never forget and one that I feel has definitely built me up as a person. I had a pretty hectic travel schedule to get over to Vegas. I’d chosen to fly from London Heathrow airport (despite living 4+ hours away by car), so that meant on top of my 10 hour flight I also had a longgggg drive too. Despite the hectic travel schedule, my biggest worry was that I was going to miss the flight. See every time I’ve travelled on a plane I’ve been with somebody else, and I’ve kinda just gone with the flow… I was panicking that I would have forgotten something or that I would get held up and miss my flight. Needless to say once I was sat on the aeroplane I breathed a sigh of relief, and then I finally began truly looking forward to my getaway. Unfortunately my flight consisted of a broken TV & a child kicking me and pulling on my leg for the full duration… But hey-ho, you’re bound to get a bad one sooner or later. I’ve put a complaint in with my airline and I’m hoping I might get myself a cheeky upgrade out of it (I can be a wishful thinker right?). Surprisingly, despite being super tired – I woke up really early on Friday morning… So early in fact that it was nearly still Thursday night, haha – I guess it was excitement as Friday was start of the Digital Altitude event… At 6pm it would be time to head on over to the Red Rock hotel for the early registration. I hit a bit of a problem though, which was a logistics issue. 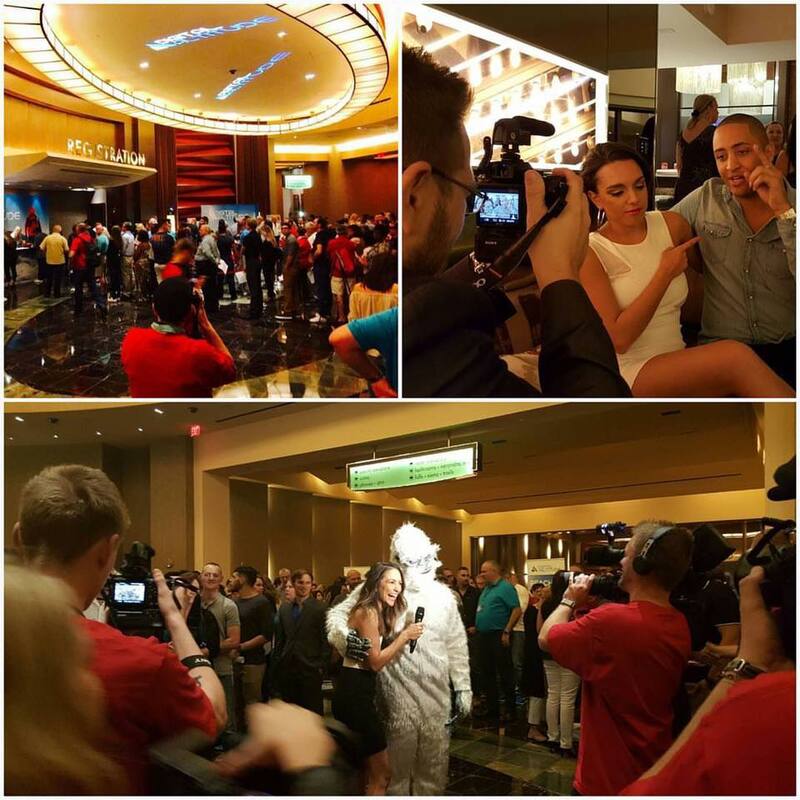 See the event was being hosted at the Red Rock Hotel in Vegas, which is actually about 30 minutes away from the strip. The trouble was that because I booked my room late, the Red Rock was full which meant I had to get a room on the strip. I had asked a cab driver how much it would be to drive me there & he said it would be around $70 – that’s $140 there and back, which I think you’ll agree is pretty crazy. I put a shoutout to the Digital Altitude group & they enlightened me on something called Uber. I downloaded the app, got a quote and it came to just $20. I rolled with that, ordered a car & it arrived within less than a minute – so takeaway 1 from this event was that Uber is awesome. When I arrived at the event registration the first thing that shocked me was how busy it was… I couldn’t believe how many people had turned up, which just comes to show how many people have been drawn into this program. I thought I’d traveled far, but there were people there from all corners of the world… I was totally amazed. There were so many people there that it actually took me around 2 hours to get registered… But once I did, I got my VIP pass and I was good-to-go. The VIP pass meant that I was able to get front row seats at the event to get right up close to the action, and it also meant that I was invited to a VIP after-party on the Saturday night (which sounds fun to me!). To be honest I didn’t really care too much for the up-front seating haha, the after-party alone was the main selling point of the ticket for me LOL. There was a bar at the event registration so rather than get a taxi straight back to my hotel, I hung around and had a few drinks. I got chatting to people, and ended up driving to the strip with a group of guys and hanging out around the Bellagio. This was pretty cool, they were pretty awesome guys, and it was pretty surreal to be over 5,000 miles away from home and driving through the desert with people I’ve just met. In fact the whole concept of travelling to Vegas alone sounds pretty crazy, and some of my friends wouldn’t dream of doing it – but let me tell you it’s one of the best things I’ve ever done. …and for those of you who’ve never traveled alone before, let me tell you that you NEED to travel somewhere alone. I wish I could stress just how awesome an experience it is. It’s definitely up there with one of the best things I’ve ever done in my life – and now I am just so eager to get back out there and do it again. Anyway, getting back on topic – my Friday night was pretty chilled, nothing too heavy. After a bit of hanging out & taking a few photos outside of the Bellagio I retired back to my hotel ready for an early start in the morning for day 1 of the DA event. Day 1 of The Event. It was an 8am start, and my hotel was 30mins away from the venue so it was a fairly early rise for me on the Saturday. I had set my alarm for 6am, but I was actually awake before it – most likely out of excitement, as I was really pumped for the event after the event registration alone turned out to be so awesome. I got ready, got my Uber and arrived at the Red Rock Hotel nice and early. With my VIP pass I managed to secure myself a seat right at the front to get really up and close to the action. 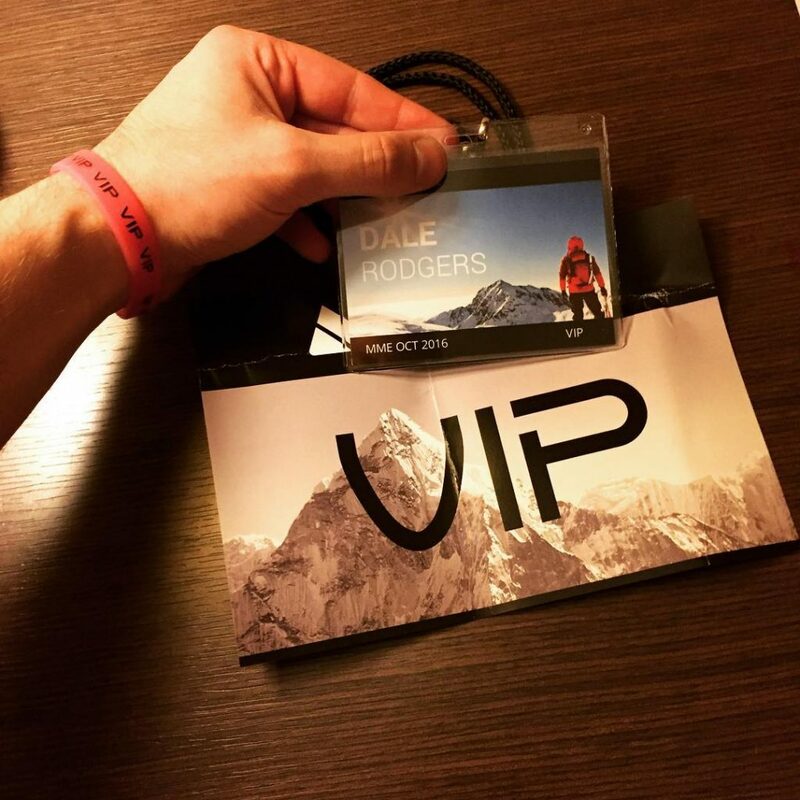 Digital Altitude put together a little after party for everybody who’d purchased a VIP ticket. Let me tell you that this was FUN. They’d booked out the VIP lanes at the Red Rock bowling alley to host the event, and it was great. I love bowling, and bowling also makes a great way to socialise, especially when it’s combined with a free bar… That definitely makes for smiles all round. Although, just after that photo I did bowl a strike with the Barbie ball – haha. The drinks were in full swing, and when the event finished at 10pm I decided to head over to the strip and carry it on. Unfortunately I couldn’t round up anybody from the event to come out with me, everybody was heading back for an early night, ready for an early start…. and looking back that’s probably what I should have been doing too as I ended up completely missing day 2 of the event – WHOOPS. The event was due to start at 8:30am, and I didn’t roll into my hotel room until 7…. So it was definitely a washout. However, despite missing out on the event… I did have something else to look forward too on the Sunday, and that was checking into a panoramic penthouse in the Aria hotel. It’s safe to say I was looking forward to that A LOT. See to make life easier for both getting to the event, and checking out the strip I decided to stay at the Stratosphere hotel which was kind of in the middle of both. However when the event was over I didn’t want to be stuck all the way out at the Stratosphere, so I’d booked a penthouse in the Aria for the remaining duration of my stay… and wow, let me tell you it was amazing. I just can’t put into words how great the view was out of this room. The windows basically went around the whole room, so not only could I see down the strip, but I could see all the way round to the back of the hotel too – it was surreal. (by the way if you’re not already following me on Instagram, go ahead and give me a follow by clicking here). On the Sunday I didn’t a great deal other than a lot of walking about. I mean I’ve been to Vegas a few times, but even still I love to walk about – the place just never fails to amaze me. I was actually surprised this time though as it rained throughout the most of my stay. It’s rained whilst I’ve been out there before but previously it’s just rained for a few minutes at the most – this time it rained so much that most of the place ended up flooded. On the Monday I decided to head out for a few days – once again, alone. I headed to a bar in the Cosmopolitan. I pulled up a seat right at the bar and got chatting to a few people in there – the great thing about Vegas is that alone or not, you’ll never find yourself short of friends. From there I headed over to the Jewel nightclub, which is actually in the Aria itself. The DJ that was playing was called Seven Lions – I’d never heard of him, but WOW it was one of the best events I’d ever been to (certainly beat the DA one LOL)… The whole place was popping. I was planning on taking it easy to be honest, as I was set to checkout at 11am…. But one thing led to another and once again I didn’t hit my bed until around 6am LOL. But again, you only live once right…? So yeah, that’s pretty much my trip wrapped up.